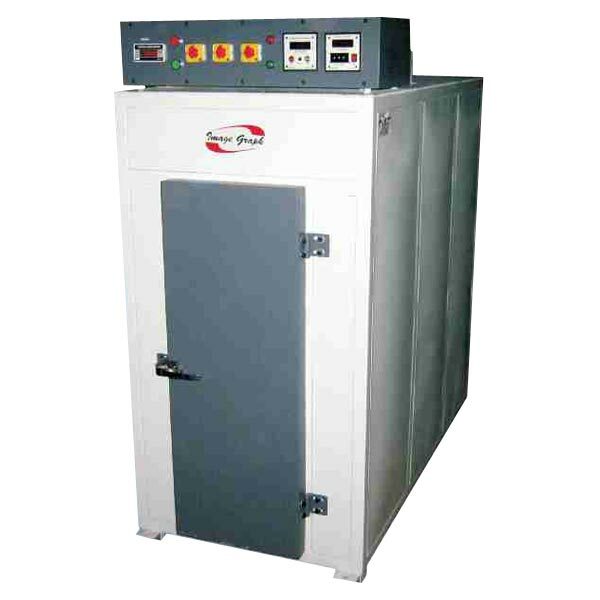 We are a well-known Manufacturer, Exporter and Supplier of Thermosetting Oven. The Thermosetting Oven is used for baking CTP and conventional plates. Vertical oven for thermosetting of presensitized plates is fitted perfect thermal insulation, stored baking times. The Thermosetting Oven comes with a heat proof bulk head with open oven and possibility of fast cooling after use. The Thermosetting Oven comprises of digital indications for all parameters. It also fitted with timer for thermosetting control with electronic Buzzer.